The quickest place to get aluminum fence accessories! This CMH3-B aluminum self-closing gate hinge features six adjustable tension settings, perfect for light to medium weight gates. 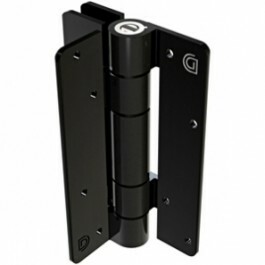 The CMH3-B is an aluminum self-closing gate hinge that is easily adjustable, perfect for light to medium weight residential gates. 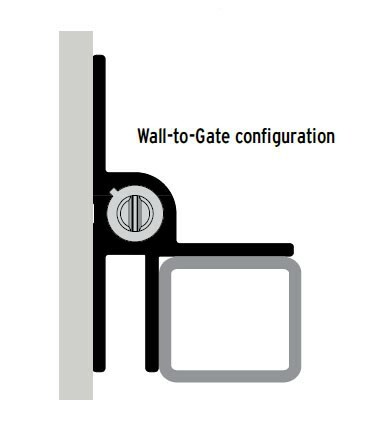 This KwikFit™ hinge features 6 adjustable tension settings to provide a range of very fine tuned self closing settings, allowing you to find the perfect smooth and reliable gate closure. Constructed out of durable powder coated aluminum, this hinge will not rust, bind, sag or stain. The site-fitting legs provide versatility and extra mounting strength, recommended to mount using 12 gauge fasteners. This product is an individual adjustable gate hinge, not a pair.